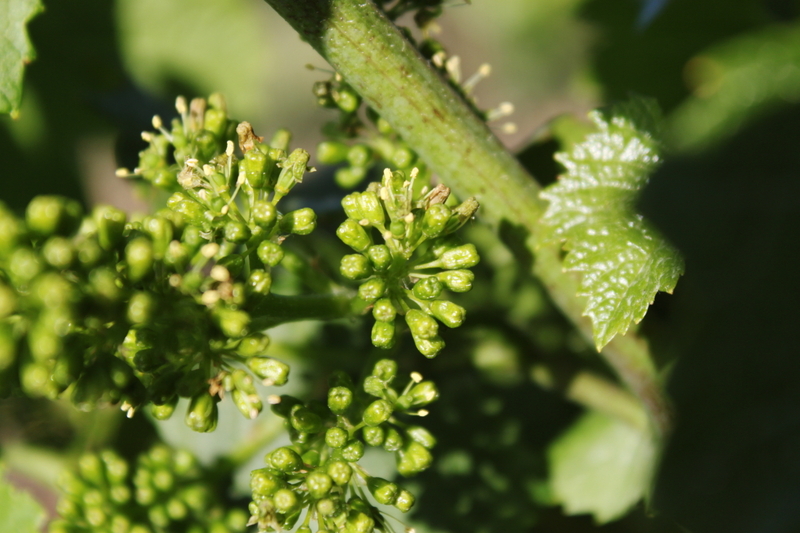 Up until now, the clusters we’ve seen have been exactly those small green flowers. 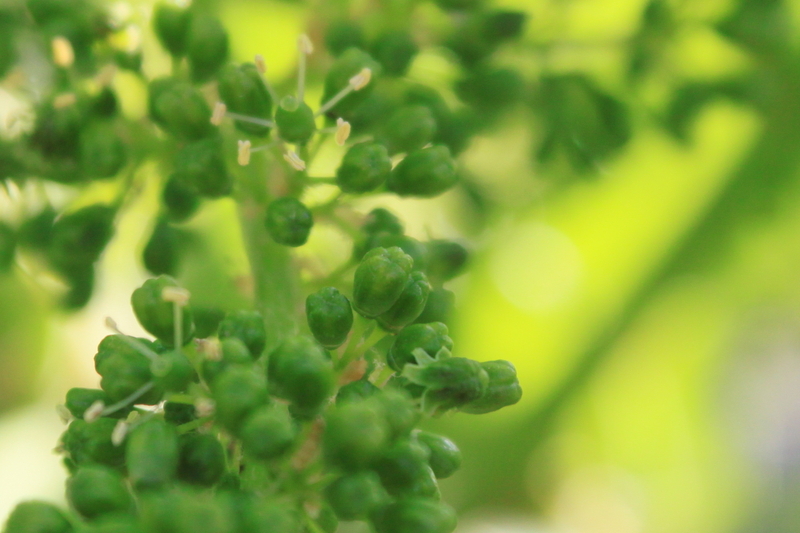 This week, they started to open up. 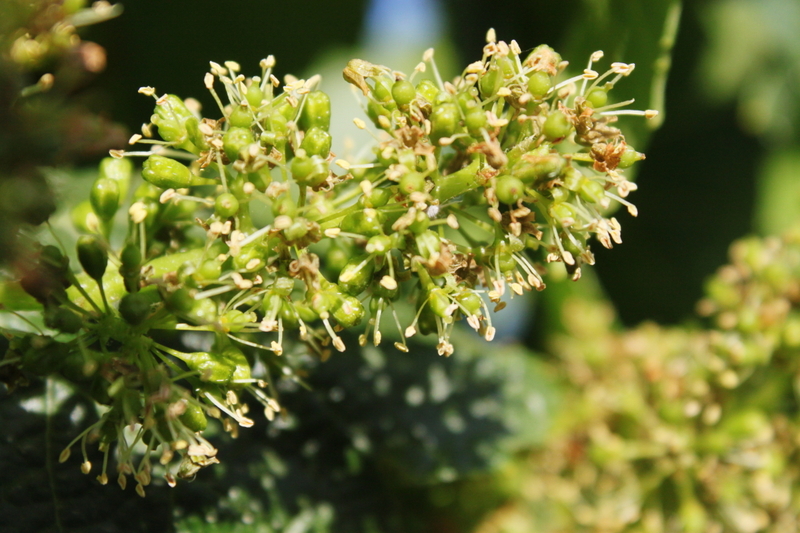 The flowering process can take weeks — or days — depending on the weather. The sequence of events goes something like this: the individual flowers open, the cap, or calyptra, which fuses the petals together, is shed, releasing the pollen which then fertilizes the ovary, forming seeds and ultimately grape berries. 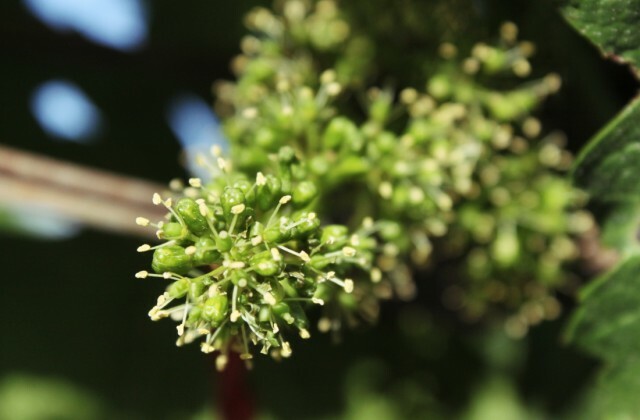 “Most wine grapes have perfect, or hermaphroditic, flowers — that is, with well-developed and functional male and female parts,” says Robinson. 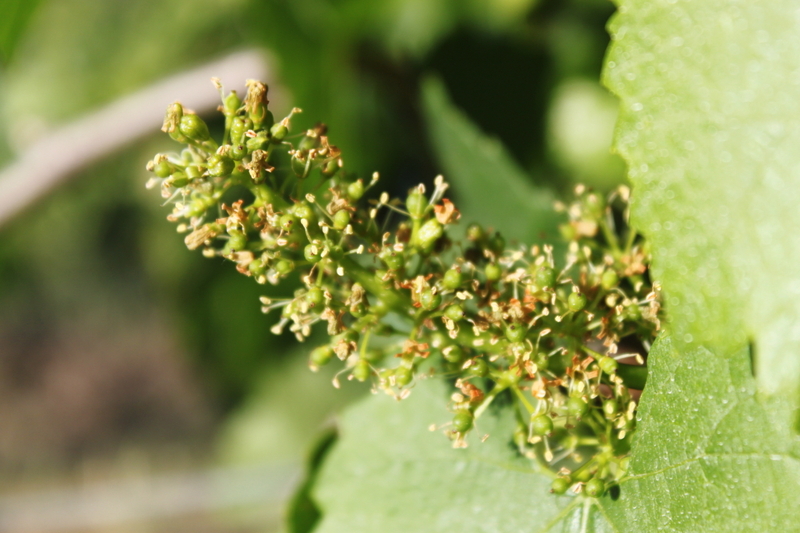 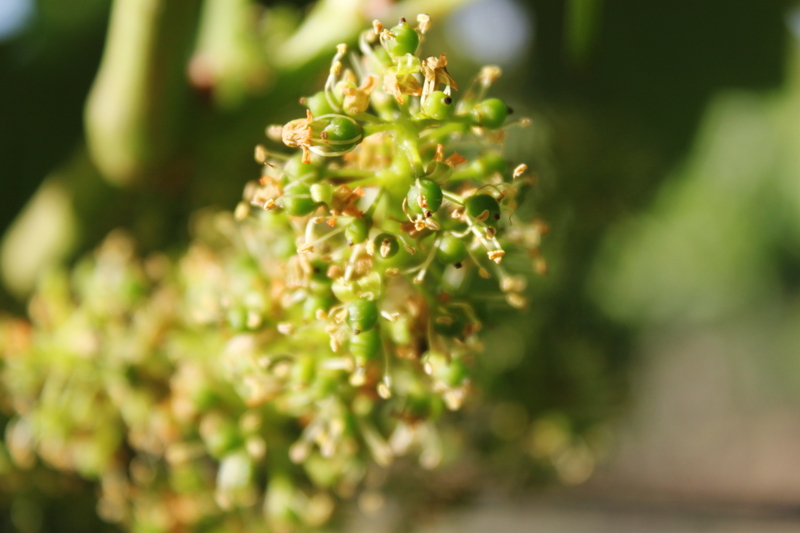 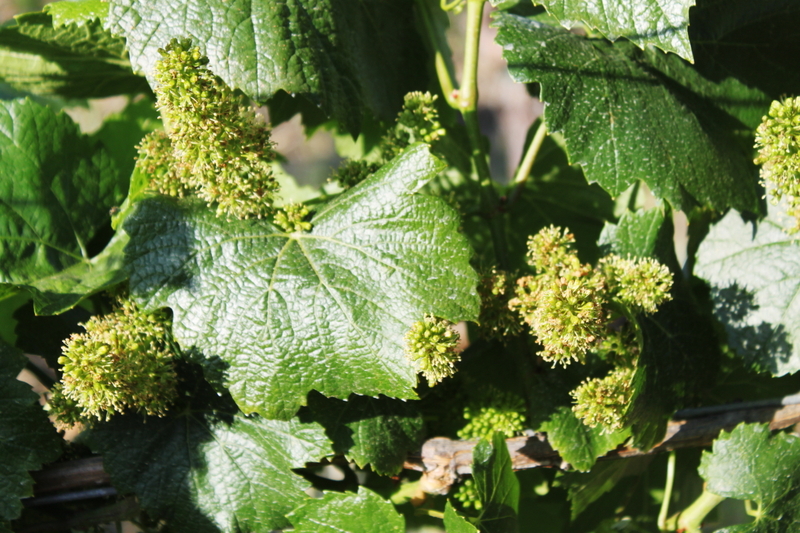 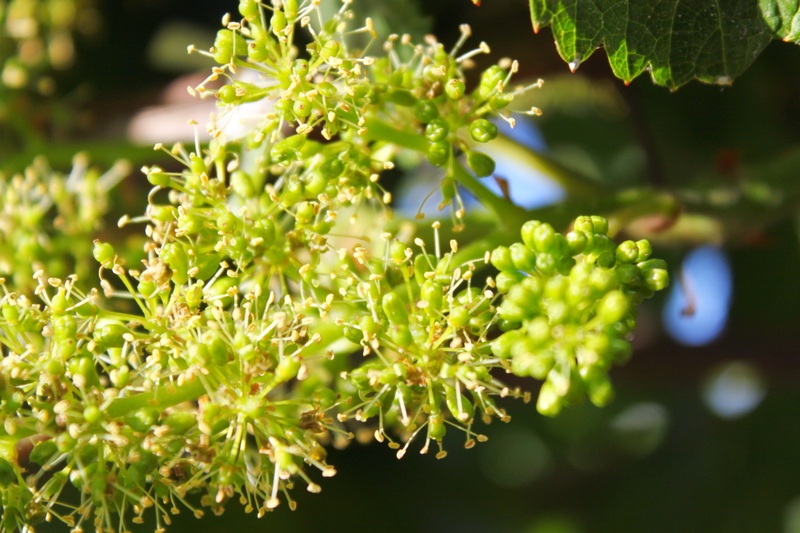 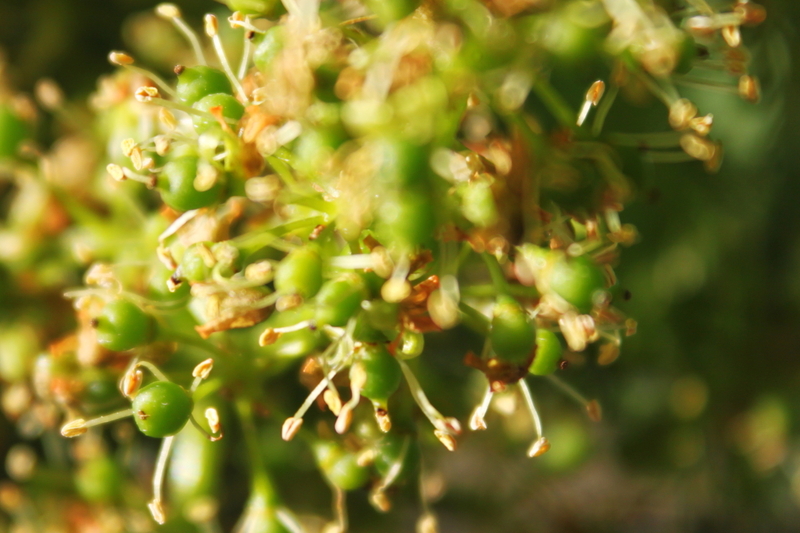 Flowering, as you can imagine, is an important time in the vineyard. 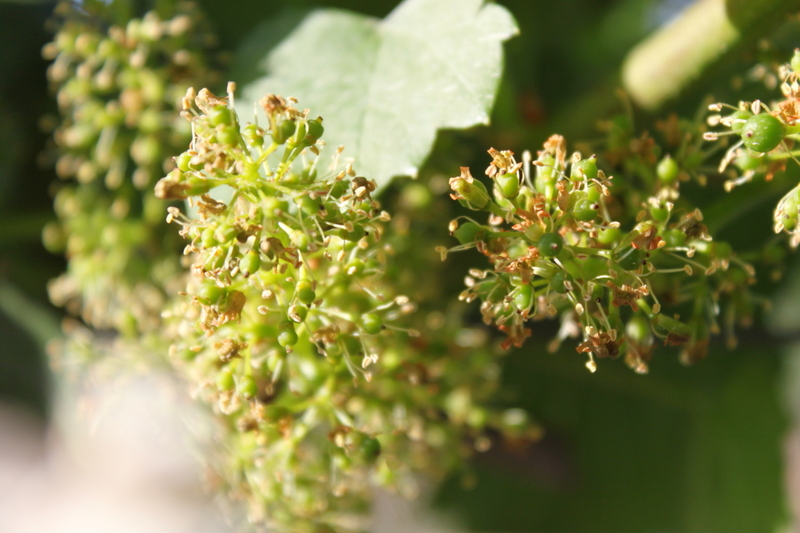 If it’s too hot, too cold, too wet, too windy, those flowers will simply not set and will instead blow off and fall to the ground, a process known as shatter. 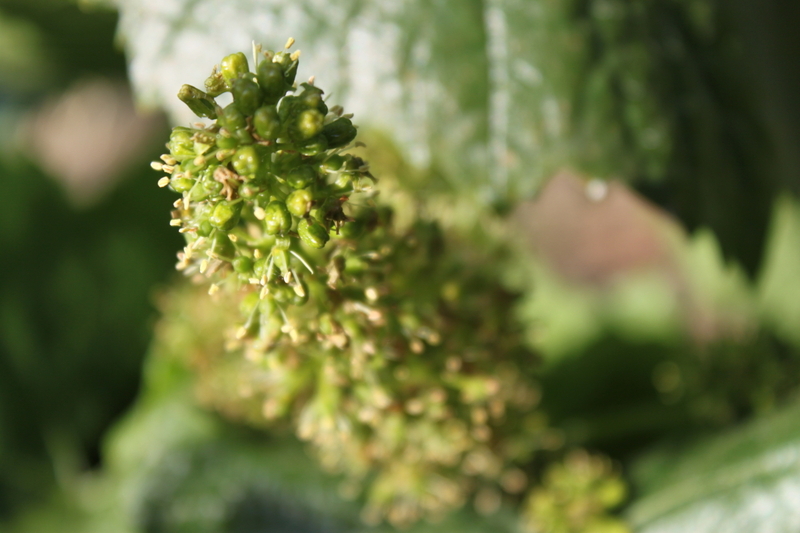 Turley’s St. Helena vineyard has just started flowering and in Amador County, where soil temperatures are moderated by snow melt and the vines are notoriously behind, has yet to begin. 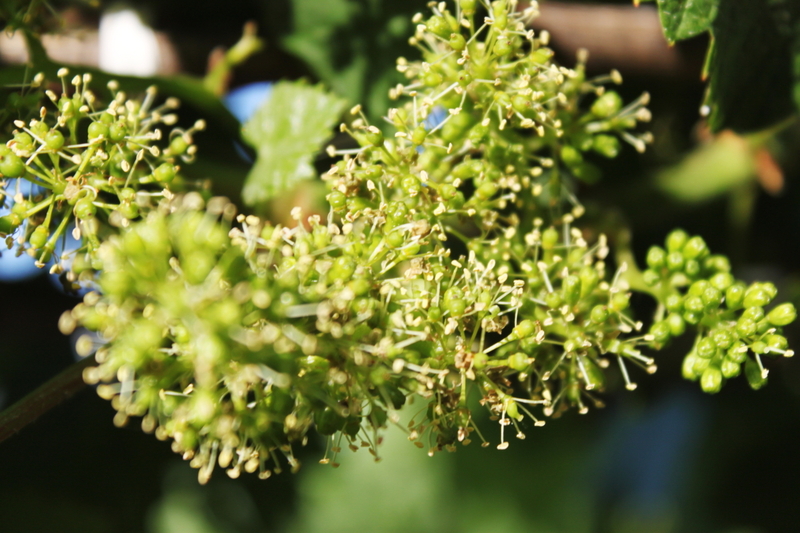 Passalacqua, and grape farmers everywhere, are hoping for calm air, moderate temperatures (the mid-80s will do) and of course, no rain. 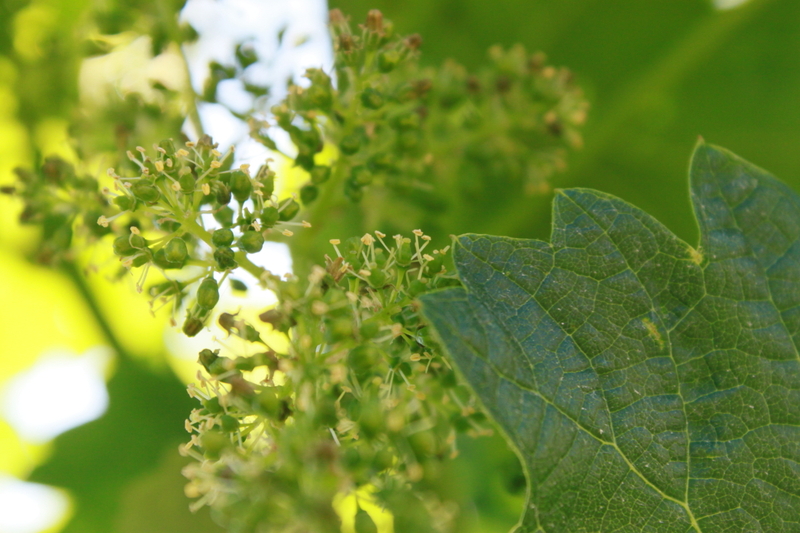 We are happy to report that his week’s forecast (for Napa Valley, at least) is exactly that.